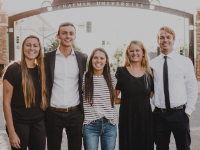 Mission Environment is Chapman's environmentalism club with a mission to educate and encourage more sustainable practices within the lives of students at the university. During club meetings, topics discussed range from waste to ocean plastic to climate change. 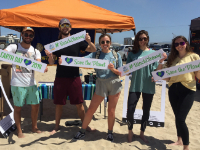 Outside of club meetings, members organize beach clean ups, hikes and other environmentally related activities. If you're passionate about the environment or are interested in learning more, consider joining Mission E! Please contact Mission E at missionenv@gmail.com for more information or visit the club's Facebook page! Net Zero Chapman is an environmental club with the primary mission to measurably achieve an energy independent, 100% renewable energy powered campus (net zero energy), as well as spearhead university growth through the best sustainability practices. We set a different, ambitious goal each year to move us one step closer to this overarching goal of being net zero. To find out more information or to join the club email renewablechapman@gmail.com. Follow Net Zero Chapman on Instagram. 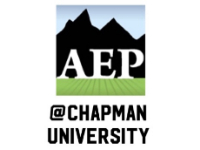 Chapman's Orange County Association of Environmental Professionals (OCAEP) student chapter is an offical student chapter from the national organization (Association of Environmental Professionals). Our student chapter focuses on showing students what potential jobs there are in the environmental consulting field and other areas as well. Our chapter also focuses on sustainability and working with other clubs and organizations to make Chapman more sustainable. Connect with OCAEP on Instagram and Facebook!